All types of roof whether it is a flat or slopping roofs need to be water proof, weather proof and also it needs to drain away water during rainy season using gutters and downspouts. Any of the roofs with no maintenance at some point it will start to leak and cause severe damage, so proper maintenance is needed for every roof. Painting the roof will prevent roof from various damages. There are few choices when it comes to roof painting and home owners have to decide which is best for them. The water based roof painting would be the most preferred paint used for cement tiled roof and shingle roofs but there are some paints on the market which are not suitable for collection of water. So buy a paint that suits your roof before you collect rain water from roof. Oil based roofing paints are best suited for collecting rain water and it is also good for iron roofs, if the roof is iron it will help to keep the rust at bay. Water based paints can be used on iron roofs but make sure any rust is treated well or it may appear soon again after painting. Roof painting should offer UV resistance to extend the painted surface and water based for easy cleaning and short recoating periods, timing spent on the roof. Clean the roof completely without any dust before you are going to paint using a high pressure water blaster is one of the best way to clean the roof, specially any roof with rough surface . This is where high pressure water washing is good, as it gets into all those nooks and crannies. A roof with smooth surface such as galvanized iron could be washed much easier with a boom. For painting in a new iron roof, you need to wash it with a degreaser before you start unless the roof is more than a year old and has weathered. This means that the oil from the fabrication has worn away and the iron has been slightly etched through weathering. The homeowners needs to apply two coats of suitable paint, and the choice of color is depends on owners wish but the lighter colors will reflect heat and dark colors absorb heat. Airless painting is the quickest way to paint any roof and if you decide to paint your roof this way there is few ideas in applying the paint. When you are spraying, you should spray about a meter wide section and work your way down the sheet, spray in the direction of the flutes in the iron. When you are painting a tiled or shingles roof is because the entire existing glaze has worn off and the roof is looking a bit shabby. Some roof will look better than you think once cleaning has been done. Cleaning the roof also gives the new look for the home. The external painting has so many benefits of special metal roofing paints. These paints are made with special qualities .They are heat or fire resistance and even insect or pest – resistant. Internal paint doesn’t have these types of properties. The expertise of a professional roof painter is critical, since each climate has its own problems like lots of snow or extreme heat. An experienced roof restoration professional can help homeowners choose the best roof paint for their particular area of the country. The Legend GS are Sydney’s best customer service provider. 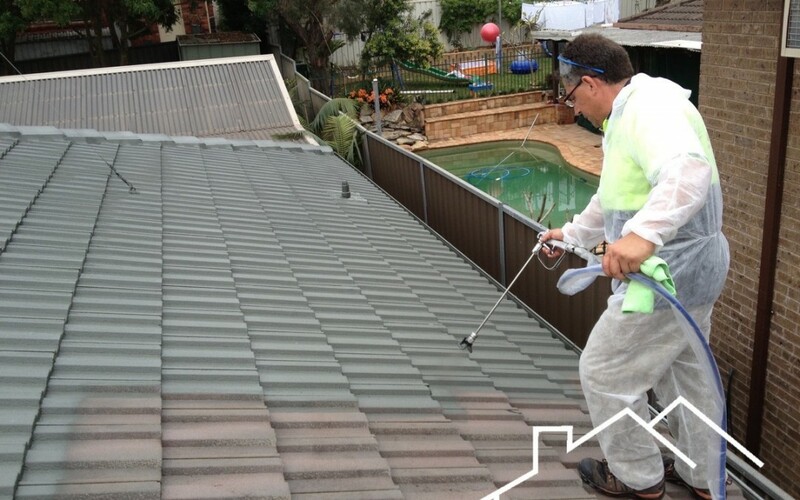 Our Gutter Replacement Sydney service includes Guttering, Gutter cleaning, Gutter maintenance, Gutter installation etc. For full details visit our website or Contact us on 1300 109 021.